This is another project a long time in the making. 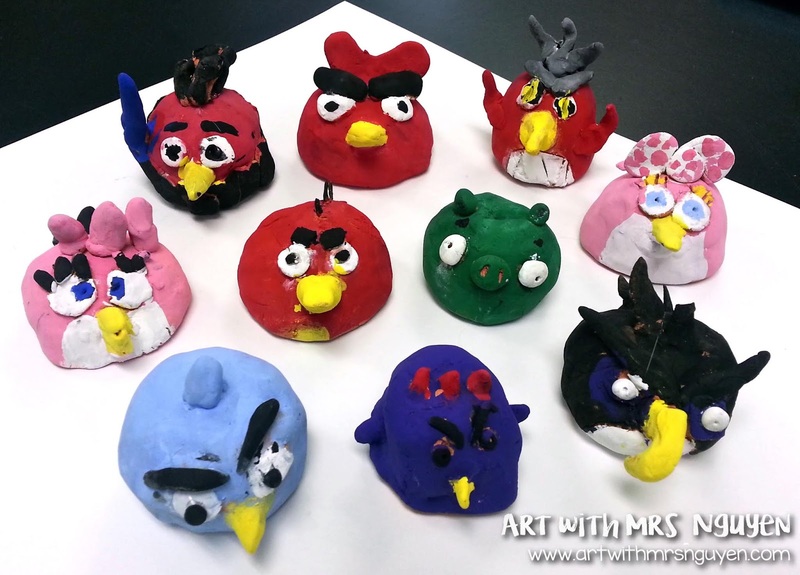 I started making pinch-pot angry birds with some of my 3rd grade classes over a month ago... but am just now getting those classes back in my rotation so they can paint them! The clay that we've gotten this year has been extremely dry and difficult to work with (even when additional water is added), so I reduced all my clay projects down to just one working day. So students had one class (50 minutes) to learn my expectation of working with clay, procedures, view a demo, ask/answer questions, and make their own angry birds out of a piece of clay. I began my demonstration by showing students how to create a simple pinch-pot (something new to a lot of them). First they rolled their clay into a ball, then used their thumb to press a mark into their clay. Then I had them use their "pincher-fingers" to continue pinching in from their thumbprint to the sides of their clay. 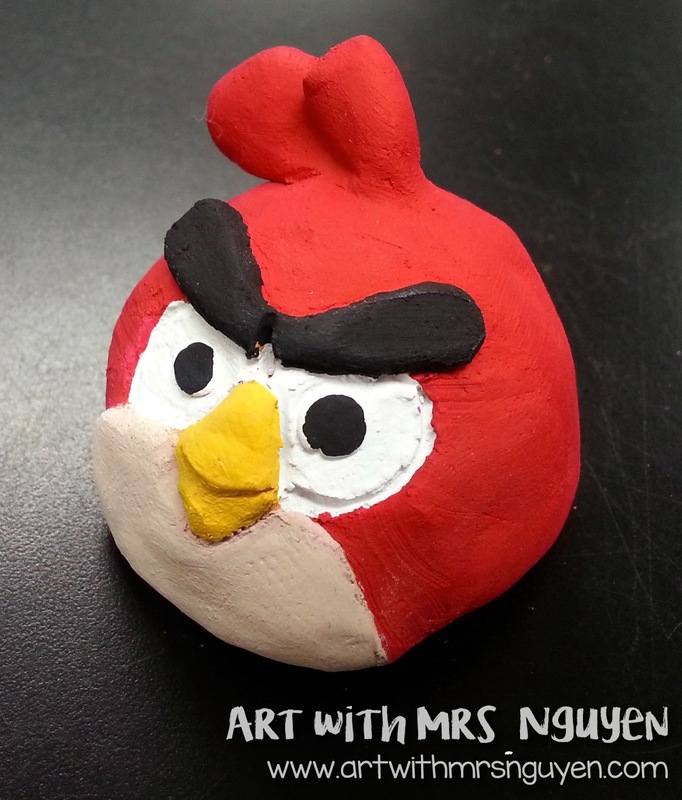 Once students made a basic pinch-pot they flipped them over and this became the basic frame for their angry bird. I then demonstrated to students how to subtract clay (subtractive process) with tools such as bent paper clips and add pieces of clay (additive process). 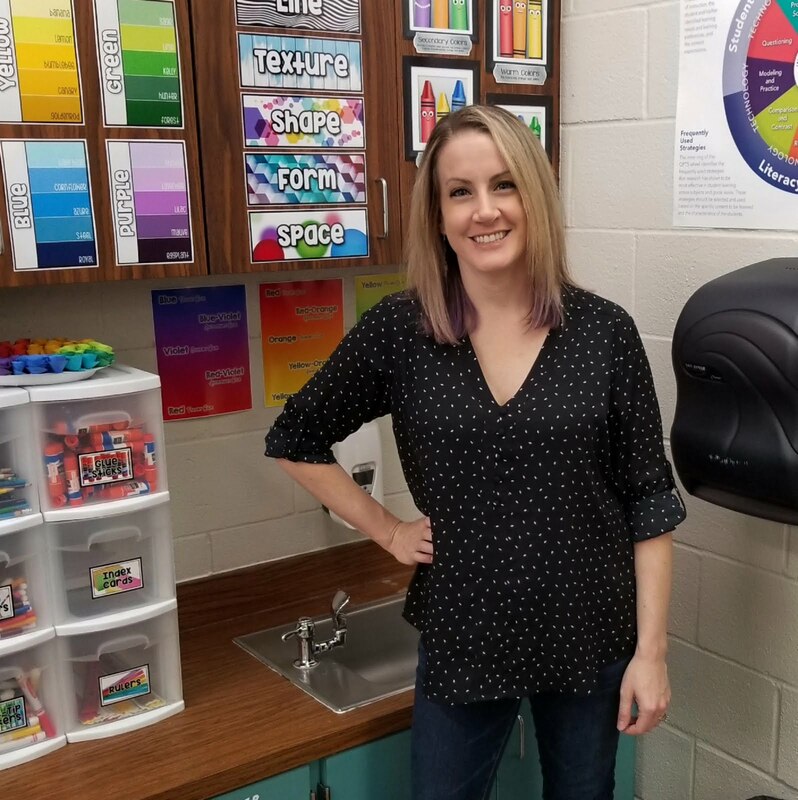 When joining together pieces of clay, I had my students learn and follow my "4 S's of joining clay." 1- Score: Score both pieces of clay where you'd like to join them with a paperclip. 2- Slip: Instead of using actual slip, I have them just 'slip' their fingers into a water dish and add a drop to their scored part (I just wanted to introduce the idea of this vocabulary to them). 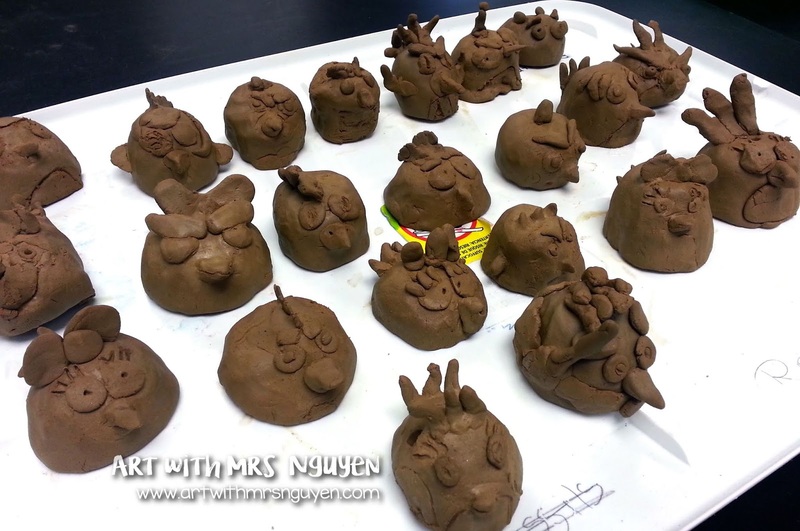 3- Smoosh: Students smoosh together their two pieces of clay. 4- Smooth: Using a plastic tool or their fingers, students smooth their pieces of clay together to make a smoothed joint.